That is a fact. 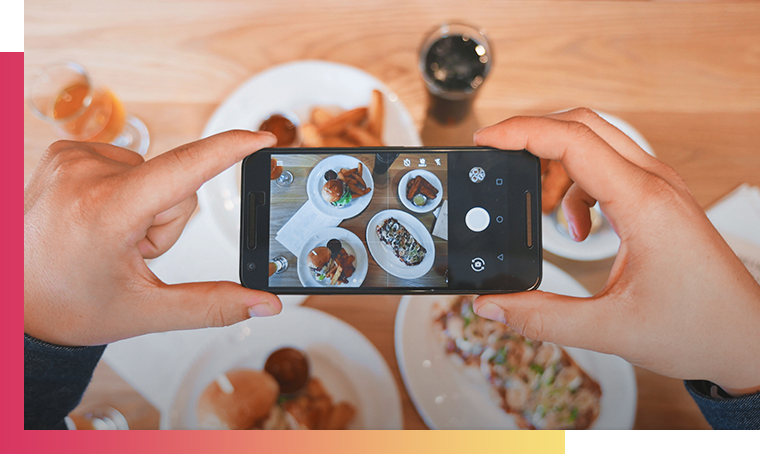 Social content marketing is evolving very quickly and is taking a real turn: videos, snack content, artificial intelligence, augmented reality… Where are we today? A brief overview of the major trends already established in 2018 and which will continue to develop in 2019. Social media is constantly evolving and it is sometimes difficult to understand how much they can change the perception of a brand and thus influence consumers. According to a study conducted by Coredna, 64% of consumers are attracted by a brand over a set of values. Brand loyalty no longer depends solely on the quality of the products and services offered, but on the relevance of the content and customer experience provided! It is therefore essential for brands to produce relevant web content. Today’s consumer basically wants two things – to be engaged and to be part of a brand’s communication strategy. Consumers are more influential than ever and demand that brands demonstrate, through the use of technology, that they are proactive, that they understand their lower expectations and that their desires are met. Augmented reality fulfills both these needs, offering incredible opportunities for brands in the field of customer experience. Still little used in France, augmented reality is already part of many brand strategies. It has a significant impact that will continue to increase in the coming years. According to Statista, the augmented reality market will exceed $209 billion by 2022! Many sponsored Snapchat filters allow users to create their own geolocated filters. 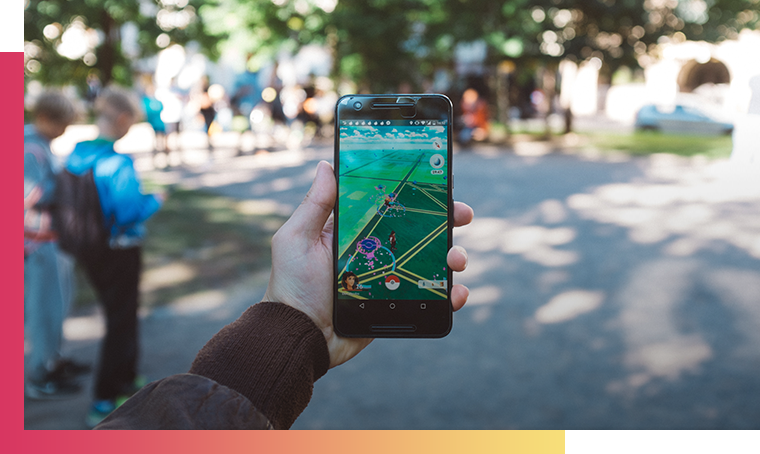 Highly valued by brands and increasingly used by social platform applications, augmented reality does not stop there. This new technology allows brands to communicate in every corner where they were not present and to create more interactions with their consumers. A quick reminder: Last year, Snapchat launched its augmented reality art platform on which Jeff Koons’ works could be discovered. Now, Snapchat offers Lens Studio which allows the whole community to create their own customized Lens. 1 million videos will be broadcast or downloaded every second in 2021. 1h22, the average time that French people spend on social networks. 87% acknowledge that “many of the proposed contents are useless”. YouTube, Facebook and Instagram continue to develop their video formats to help brands diversify their content. Product promotion, storytelling, content creation… Video is nowadays a widely dominant medium of expression on social media. Brands must appropriate the entertainment codes dear to the snack culture while remaining faithful to their values and brand platform. Just as Snapchat, Facebook and Instagram launched their stories. According to the Contractor, 200 million Instagram users would use Instagram Stories each month. This makes the network, initially used for photo publishing, an essential video platform to be taken into account in brand communication. And the social network didn’t stop there, as the application even launched its own Instagram TV (IGTV) video application that allows users to upload vertical videos that can last up to an hour. YouTube, on the other hand, continues to grow and expand, thanks in particular to the ever-increasing number of YouTubers. There are platforms such as “Houseparty“, mainly used by the Z generation, that allow users to join video group conversations. It is by using its various functionalities that brands can offer many personalized experiences to their customers. An essential need to be taken into account in current communication strategies! The popularity of video is such that brands have no choice but to favour this format in their content creation strategy. According to a Hubspot study, 47% of consumers buy items from a chatbot. Conversation returns to the heart of customer relations in 2018 and the use of chatbot becomes almost systematic on online sales sites. The need for immediacy is one of the characteristics of the Millennials. Because they are “digital native”, this generation has appropriated personal assistants and chatbots, anxious to get the answer to a question at any time of the day, including evenings and weekends. But be careful, e-shoppers are attentive to the semantic quality of exchanges. A consumer can stay connected for hours on Facebook, without even intending to buy a product. This is an important fact because, if a Facebook user finds himself on a brand page, companies have the possibility to start a conversation via a chatbot that could influence his purchase intention. Using a chatbot is a good way to increase engagement in the customer journey. Companies can extend this strategy to many platforms such as Messenger, WhatsApp or Kik. These are all popular messaging applications for Millennials and Generation Z. By 2019, chatbots will certainly be the first choice for ordering a meal, buying a phone or booking a hotel room! Live video allows you to explore another side of the video. Instead of thinking about the content that will be published in the near future, the live format makes it possible to offer consumers a more intimate, “Behind the scene” look, more authentic and without artifice. Once again, the customer is looking for a personalized experience. Live allows not only to give it exclusive content but also “real” content, filmed at the moment. In addition to exclusive content, this format also makes it possible to share events that consumers cannot always attend, such as conferences or concerts. Live product presentation is also often used so that consumers or prospects can measure the quality and effectiveness of a product. This allows them to project themselves with it into their daily lives and can therefore influence the purchasing process. 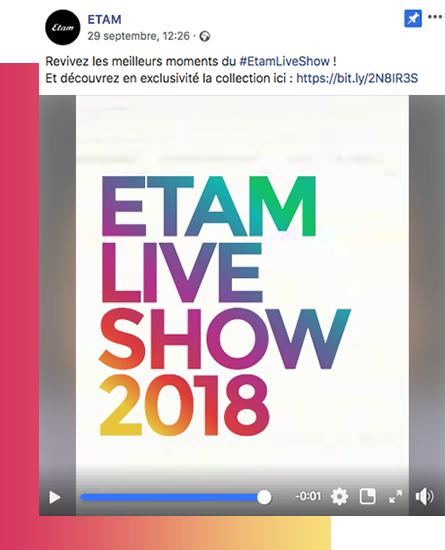 During Paris Fashion Week 2018, the lingerie brand Etam made a Facebook live show of the show. The consumer’s interest is to see the products worn and then to buy them afterwards. Digital influence marketing is exploding! It is a very good way to disseminate information through influential people. This changes the way of promoting the image and reputation of fashion, lifestyle and sports products to potential consumers… Influence marketing makes it possible to control the distribution of information, and is oriented towards the refined control of content. According to a study conducted by the Harris Interactive Institute in March 2018, 39% of French people estimate that they make purchases under external influence, and 41% of respondents are between 18 and 25 years old. Familiar with social networks, they are the eldorado of influencers. Indeed, 62% of 18-25 year olds are interested in a brand following the intervention of their favourite influencer. There is no doubt that brands have a strong interest in taking an interest in influence marketing that is less expensive than Dad’s traditional advertising (TV & co) and just as, if not more effective with a young target audience. UGC (User Generated Content) is the best way for brands to get earned media. 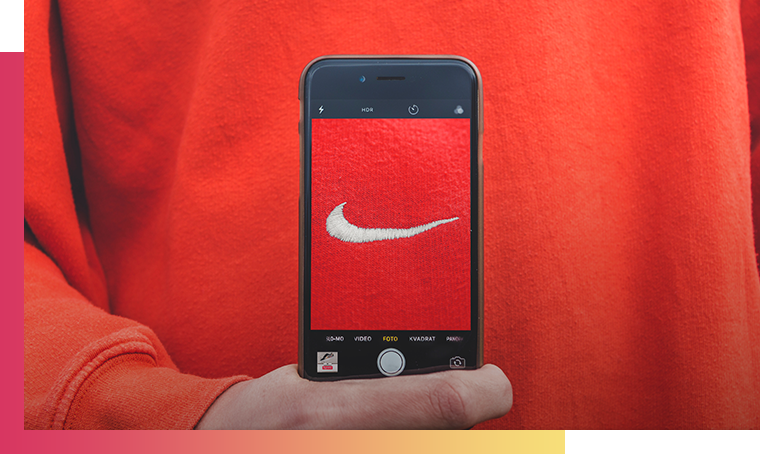 User-generated content is unpaid content that companies can use to promote their products. 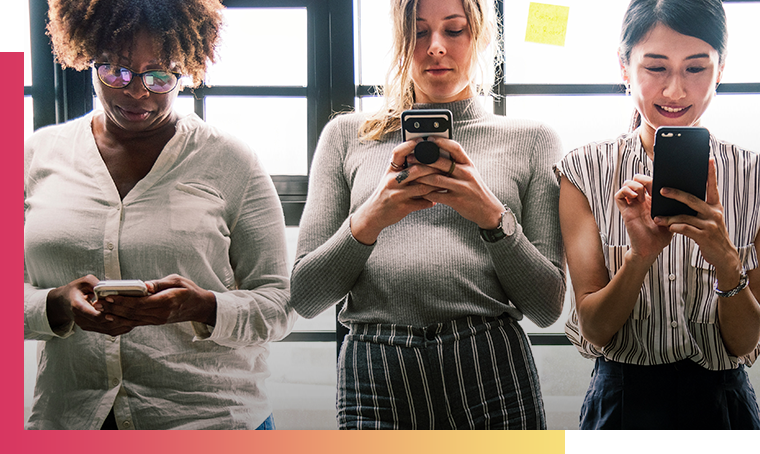 Photos, videos or other types of content such as articles, the UGC is an effective way to integrate customers into brand strategies, often highly appreciated and valued by consumers. Word of mouth also plays a significant role in the purchasing process of consumers who are looking for storytelling but also more and more information about products in terms of transparency. As testers, youtubeurs and influencers therefore play a significant role. Consumers need to see the products used in real life situations. At a time when more and more Internet users are saying they are hostile to advertising, the UGC has a real interest, whether for commercial or advertising purposes! Today, it is no longer enough to communicate via traditional channels, or even to be present on a single platform. It is important to integrate a diversity of networks such as Facebook, Instagram, Youtube and others into marketing strategies to reach your targets. Through their numerous functionalities, networks make it possible to create exclusive, personalised and differentiating content in line with consumer needs. Brands therefore have a strong interest in taking a close look at Generation Z. A very connected generation born after 1995, for whom social networks are part of everyday life.